Castle Bijaipur is a magnificent castle located at east of Chittorgarh at a distance of 35 km. Castle Bijaipur was built by Rao Shakti Singhji the younger brother of the great warrior Maharana Pratap in 16th century.This catle is a perfect blend of Mughal and the Gothic style architecture. A wonderful wildlife sanctuary is situated near the castle. This wildlife sanctuary has leopard, chinkara, spotted and four-horned deer, crocodile and wild boar and variety of birds. Bijaipur is a perfect destination for Jeep, camel, horse safaris and trekking , camping are the adventure sports that can be done here. 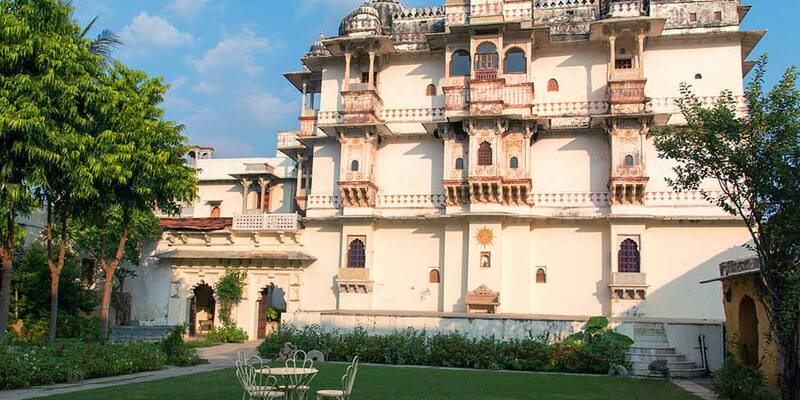 In 1991 it was converted into a heritage hotel which provides a true Rajput hospitality. Facilities at Castle Bijaipur : Full Bar, Coffee Shop, Library, Swimming Pool, Restaurant and Internet Facilities. The resort also offers yoga classes. By Road: Castle Bijaipur is located in Bijaipur town at a distance of 40 km from Chittorgarh. One can easily reach here by RSRTC bus, local bus or local taxi or walk. By Rail: Castle Bijaipur is well connected through nearest Chittorgarh Railway station (40 km) to major cities railway stations like Delhi, Agra, Mumbai, Chennai, Bikaner, Pali, Jaipur, Ahmedabad. By Air: Castle Bijaipur can be reach through nearest Udaipur airport (160 km) which is well connected with regular domestic flights to Delhi, Mumbai.